Homelessness affects thousands of people in Central Florida every year. In 2013, Central Florida had the largest homeless population in the United States compared to other regions our size. Many in Central Florida saw people on the streets as lazy bums who lived off the government and the charity of others. CFCH leadership knew that without the support of the public, homelessness would remain a low priority in the eyes of local leaders. We strategized with CFCH and partners to launch a grassroots advocacy campaign to shift the way homelessness was perceived in Central Florida. 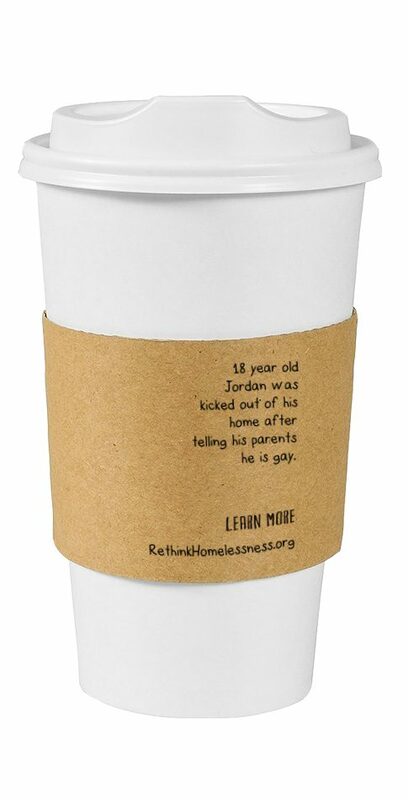 The Rethink Homelessness campaign launched in October 2013 and became one of the most prominent cause-based brands in Central Florida. 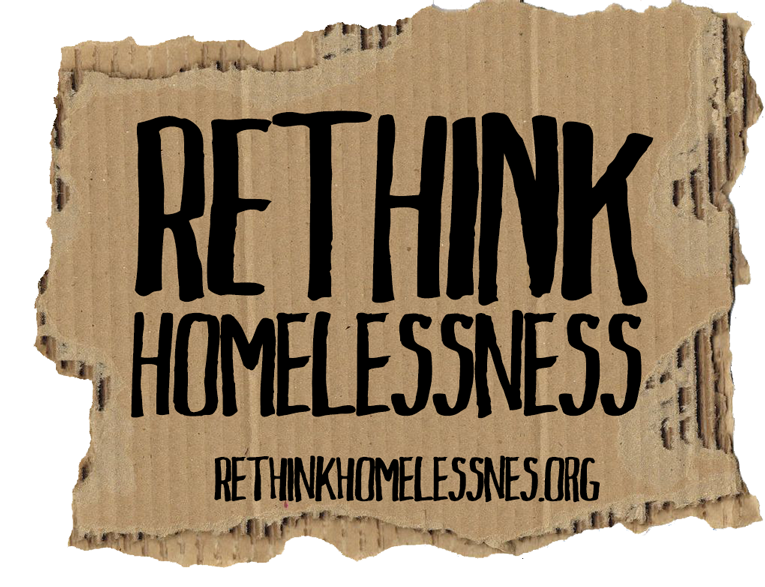 Consult on branding, content planning, and strategic use of social media for the provocative Rethink Homelessness campaign. 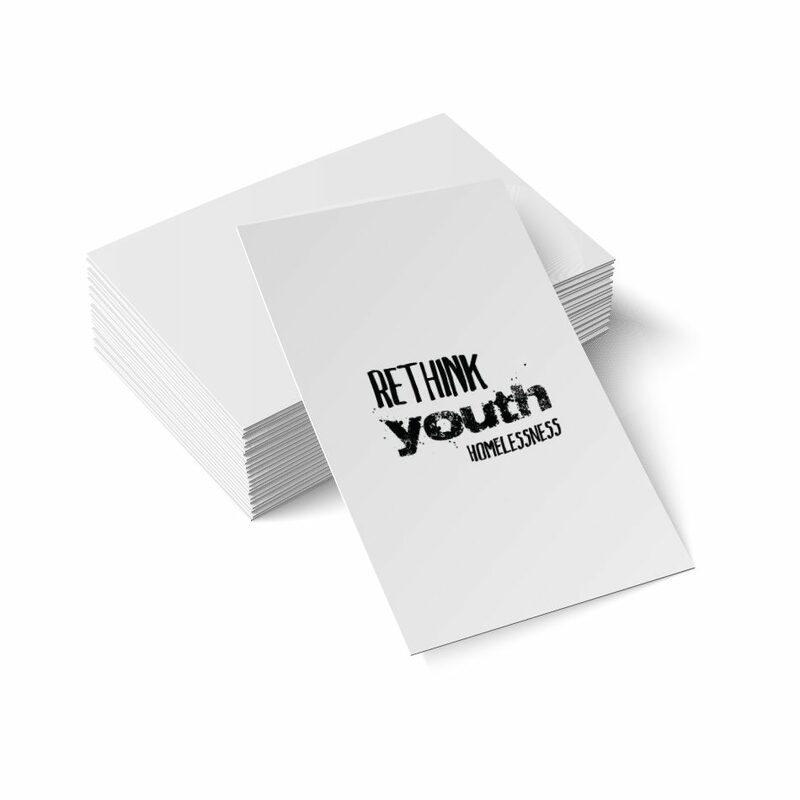 Rethink Homelessness launched their social media campaign officially on October 10, 2013 with 100 likes on Facebook and a smaller presence on Twitter. With the help of emotional content and aggressive ads, we helped the campaign grow to over 11,000 local followers in its first three months. From 2013 to 2017, we designed and updated a new and ever-growing website to meet the shifting needs of Rethink Homelessness. Designed to drive users to action, the first iteration of the site featured four easy action steps and enabled leaders to create content on a blog as well as ongoing video content. The campaign website also highlighted CFCH research and reports, a crowdfunding campaign, volunteer opportunities, and more. During the second phase of the campaign, we partnered with community leaders and organizations to raise awareness through events. At these events, we harnessed social media to extend the reach to millions of people, far beyond the number of people who attended IRL. Local sports teams -- the Orlando Magic, Orlando Solar Bears, and Orlando City Soccer Club -- all stepped up to host awareness events. At each event, we partnered with corporate sponsors (including FanDuel and Orlando Health) to match $1 for every tweet or post that used #rethinkhomelessness during the game. We also helped to facilitate advocacy nights with Orlando community partners like Macbeth Studio, Kasa, and Local Love Orlando. These informal evenings provided an opportunity for advocates to connect and take pictures in a custom photobooth to show their support. 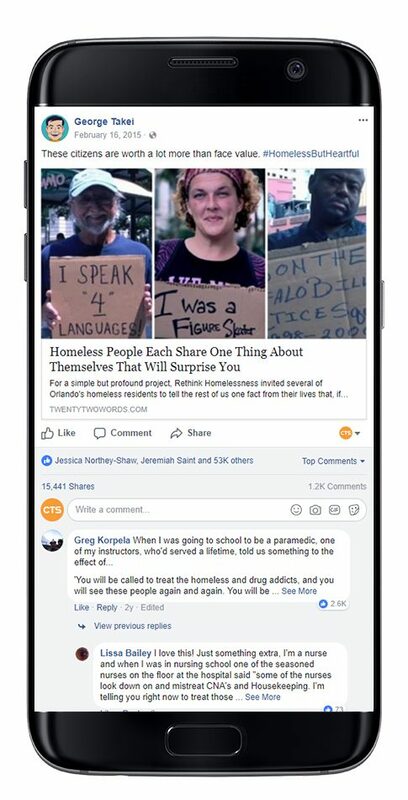 The Rethink Homelessness campaign harnessed powerful social media strategies to raise visibility for the cause of homelessness in Central Florida. The strategy was based on creating original, emotional content. This incorporated a hybrid of data and stories -- often real stories of people experiencing homelessness in Orlando. The 'Cardboard Stories' video captured many of these 'real stories' and became one of the most powerful and memorable pieces produced by the campaign. To better tell the story and help community members connect with the issue, the campaign also recruited 'lead advocates' to serve as narrators and storytellers for the mission. With the help of these energetic advocates and a strong advertising strategy, the campaign organically caught the attention of multiple prominent influencers, including George Takei, Justin Timberlake, and William Shatner, and continued to grow. The Commission's work on homelessness initially focused on helping people who had lived on the streets for many years, most of whom had a mental or physical disability that kept them from being able to work. A couple of years into the campaign, CFCH began to explore ways to address other types of homelessness, including families and young adults. 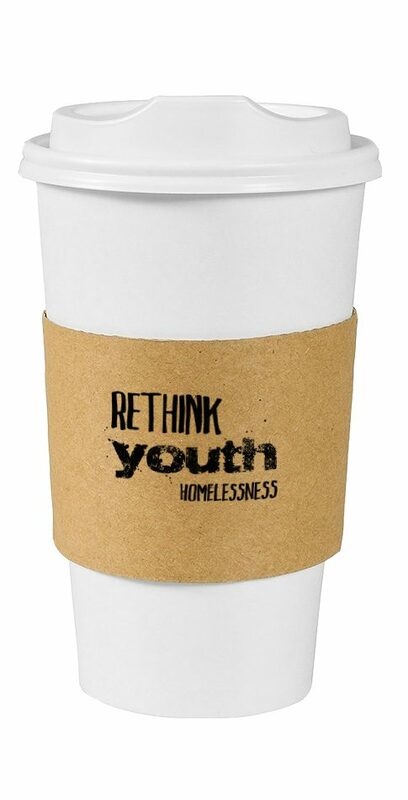 We helped to work on a branding pivot for the campaign to raise awareness about youth homelessness, including creating concepts for a coffee cup sleeve (below) for distribution in local coffee shops. noun the art of combining text and pictures in collateral for print and digital media.